Residents who live in the northeastern U.S. are intimately familiar with extreme weather conditions. From hail to wind, rain, snow and everything in between, your roof will take a beating, which over time can take its toll. Roof repairs are common, especially if you want to ensure that the roof stays in a good condition over the years. A contractor will first inspect your roof to determine the extent of the damage. Typically, they will need to remove debris so that the roof can be reframed. A key component of roof repair is fixing the sheathing. The contractor will establish a sheathing base, using plywood as the sheathing material. Next, they will lay down felt paper, after which the new shingles will be installed. Why Do Roof Repair in New York City? Getting your roof repair done by a New York contractor will maximize the service life of the roof. This is because New York firms utilize the most advanced tools, materials and equipment. They are adept in sealing, cleaning, repairing and then recoating roofs of all types. Studies show that a roof repair job done by a reputable New York contractor can last as long as twenty years before requiring further maintenance. 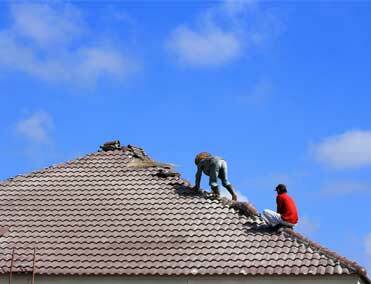 There are a myriad of benefits that property owners will gain from getting their roof repaired. The first is the prevention of leaks. When a roof becomes weakened due to age or damage, the seal will often be compromised. This results in the entry of moisture and water into the building, and if left untreated will promote the development of mold, deteriorating frames, poor insulation, and other problems. By getting your roof repaired, these problems can be avoided, and if done periodically you can save money due to avoiding serious problems which are costly and time consuming to fix. Roof repair also provides environmental benefits. Each year, huge amounts of roofing materials end up in New York landfills. By getting your roof repaired, rather than replaced, you cut down on the material that needs to be discarded, which is far more eco-friendly. Roof repair will also lower the energy expenditure of your property. By preventing air leaks, the cost of maintenance will cover itself over time through a lower energy bill. For those who own commercial property, it may be possible to gain tax benefits from roof repair, as the expenses involved may be deductible during tax season. Roof repair, in some cases, may be considered a form of capital investment. Why Choose Us for Roof Repair Services in NYC? Whether you are in need of roof repair for your commercial or residential property, A. Stewart Roofing and Waterproofing is more than happy to assist you. For over four decades, we’ve serviced the New York area, helping property owners install new roofs and repair their existing ones. We specialize in gutter repair, as well as waterproofing, and we work closely with each client to ensure they get the service they need. What’s more, each project we undertake will be done on time and within budget. Contact us today for a free estimate.